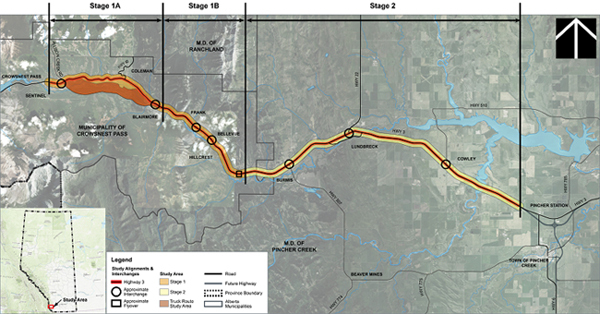 Studies exploring possible upgrades to sections of Highway 3. The study will also identify the best achievable alignment and access management provisions. The study is expected to be complete in July 2019. 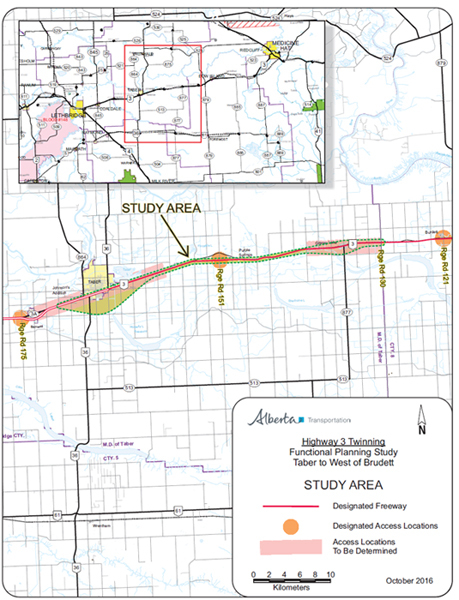 The existing twinned segment through the Town of Taber and the undivided segment through the Hamlet of Grassy Lake may need to be realigned with bypass routes around Taber and Grassy Lake to conform with National Highways System standards. The study is expected to be completed in June 2019.